Andy graduated from Arkansas State University with B.S. in Finance before opening a successful financial planning business in 1991. Andy opened Stepka and Associates, Inc. in 1999, after recognizing the opportunity for his existing clients and new ones to experience quality employee benefits, both as individuals and as employers. The agency has grown both in client-base and in workforce continually since 1999 by making Service the number one priority. Working with clients and individuals on a one-on-one basis has helped Andy recognize his goal to continue working with a wonderful team of like-minded professionals. Team spirit keeps this agency energetic and successful. Andy likes to say that every 2-person client gets the same level of service as a 200-person client. That philosophy and dedication to ALL our clients has kept Stepka and Associates, Inc. at the top of the industry in Arkansas. 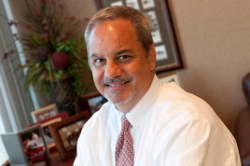 Andy currently serves on numerous industry advisory boards, both nationally and on the state level. He has been a member of the National Association of Health Underwriters and attends conferences whenever possible. Chris joined the Stepka team in May of 2003. Chris' attention to detail and his customer-focused attitude at his previous job gained Andy's immediate respect. He recruited Chris to help grow the agency into what it is today. 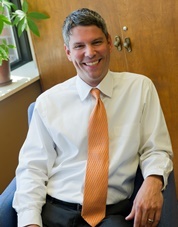 Chris received his Finance degree in 1998 from the University of Central Arkansas in Conway. He enjoys the personal relationships and friendships he has with our clients and enjoys helping employers find innovative solutions for their healthcare needs. The industry is constantly changing and Chris considers that evolution a learning opportunity at every turn. Jennifer graduated from Hendrix College in 2004 with a degree in Marketing, and obtained her Life & Health license quickly thereafter. Having over ten years in the insurance industry, both on the carrier and agent side, she understands the importance of developing strong relationships with clients and carriers alike. This experience gives her a unique edge that sets her apart, and makes her an invaluable resource in an ever-changing environment. In her role of Benefits Strategist at Stepka and Associates, Inc., Jennifer looks forward to working one on one with each client to develop a strategy designed specifically to meet their needs. 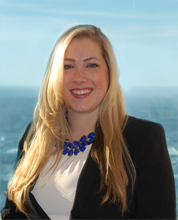 Her extensive knowledge of the health insurance industry, along with her innate desire to help people makes her the perfect ally to develop and improve their employee benefits package. Drawing on her experience with both traditional insurance policies and new, innovative ideas, she gives her clients the knowledge they need to bring their business to the next level. Dottie has been in the health insurance industry for many years. 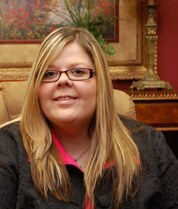 She has worked on both the agent/broker and carrier sides of insurance. She has a well-rounded knowledge of all aspects of our industry and will be key to our agency as the go-to person for quoting, eligibility updates and customer service issues. Dottie was in accounting and office management for 20 years prior to her insurance career; obvious by her organizational skills and efficient work flow processes. Dottie has a love for family, dogs and photography. Adam Ritchie graduated from the University of Arkansas at Little Rock in 2015 with a B.S. in Geology. 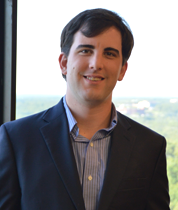 While Adam is pursuing his masters, he is assisting the agents at Stepka and Associates by providing support through a variety of tasks related to organization and communication. His organizational skills and proficiency in a multitude of technical/computer programs ensures the efficient operation of the office. In his personal life, Adam enjoys basketball and tennis, as well as any outdoor activity. 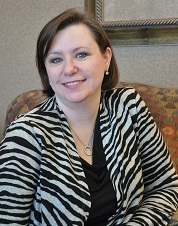 Melissa is an Accounting/Human Resource professional with more than 10 years of experience. She possesses multiple skills which include accounting and human resource management, compilation and analysis of financial information, accurate and timely reporting, internal auditing, continuous employee growth, and two successful accounting software conversions. Melissa has assisted in managing financial and human resource departments for multiple companies with 150+ employees at multiple branch locations. In addition, Melissa’s core beliefs are integrity and professional excellence, as well as, she firmly believes in making every client and team member feel valued.